Spring hiking trips are a great way to enjoy the beautiful weather this season, but a few hours trekking beneath the hot sun leaves even the most intrepid outdoorsman yearning to cool off. 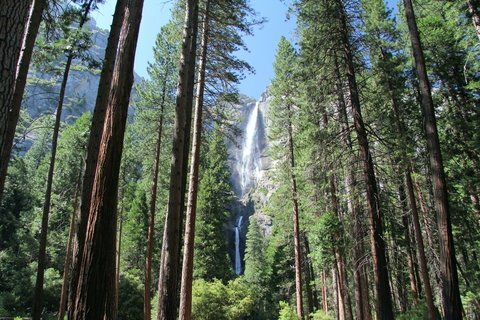 Smart hikers plan for this by visiting parks that feature waterfalls. The cool, misty spray of the falls and the opportunity to take a dip in the pools below serves as an ideal refreshment after a long hike. Here are five great options for a spring hike with waterfalls. Accessible only by hiking or horseback, the waters of Havasu Falls remain a perfect 70 degrees throughout the year. The falls have been featured in television shows, magazine, and several Top 10 lists throughout the years, and outdoorsmen from all over the world travel thousands of miles just to see them. You have to love a waterfall so grand they named the park after it. Named for the dark amber hue the waters of Blackwater Falls State Park take on before plummeting five stories to the pool below, Blackwater Falls is one of the most photographed locations in the state. Bonus: no entrance fee! Known as one of the most beautiful attractions in its region, the 90-foot Potato River Falls offers adventurous hikers a reward for its hard-to-reach beauty, especially during the autumn months, when the fiery colors of the surrounding trees are in full flame. More casually accessible than some of the other falls on this list, Munising Falls cascade 50 feet down a sandstone cliff. Visit in spring and summer, when the vibrant green moss grows on the surrounding rocks and the water becomes a deep cerulean blue, creating a scene straight out of a fantasy novel. Saving one of the big boys for last, Yosemite National Park offers visitors a collection of waterfalls to see, but their namesake cascade is the biggest. One of the largest in the world, Yosemite Falls plummets over 2400 feet and is so big that it can be viewed from numerous places around the park.